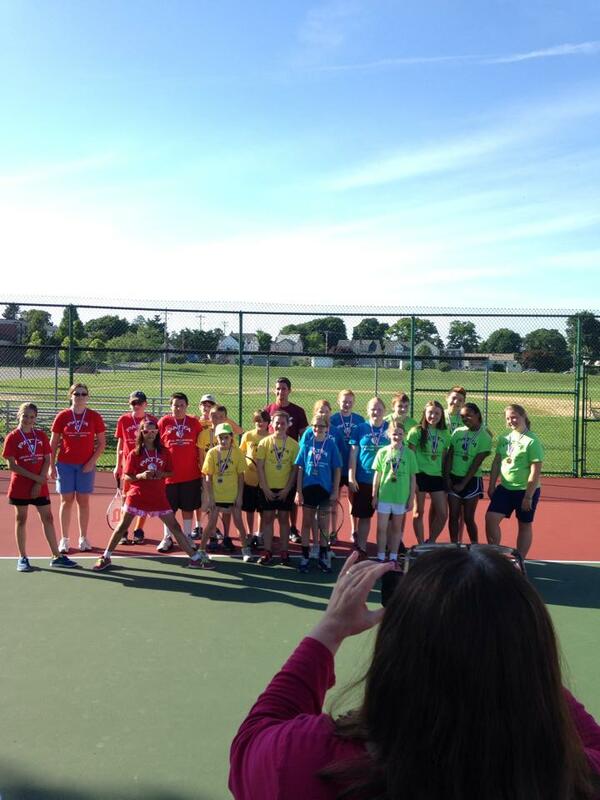 This Sunday, we wrapped up our 7th and final week of the spring PATTA session in Oxford! 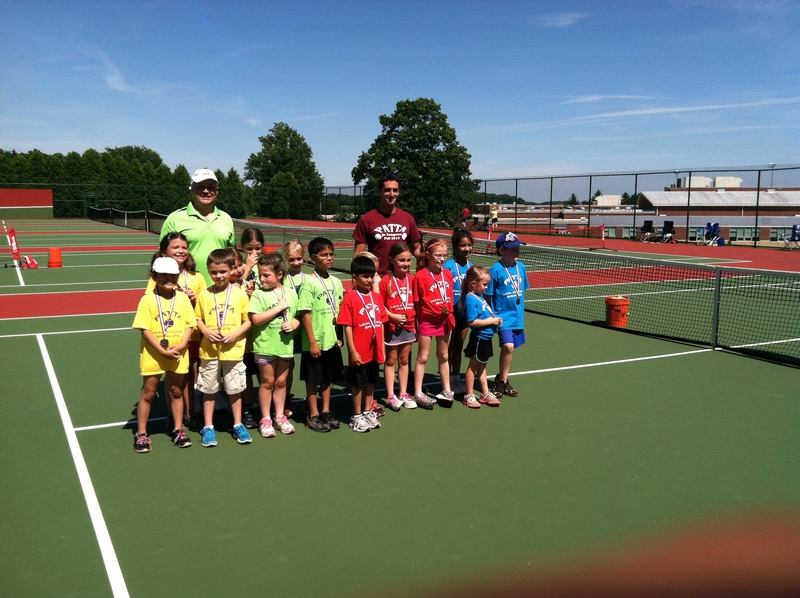 We had a great, sunny season with no rain delays whatsoever. 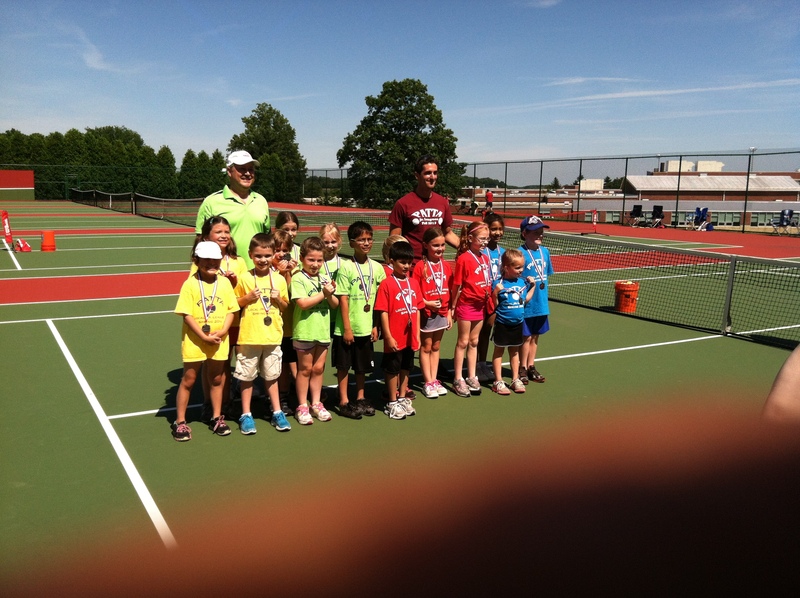 Coach Greg and I saw many familiar faces, some new faces, some fun rallies, and some great tennis! All in all, it was a great, positive environment, and we really hope everyone enjoyed the season. 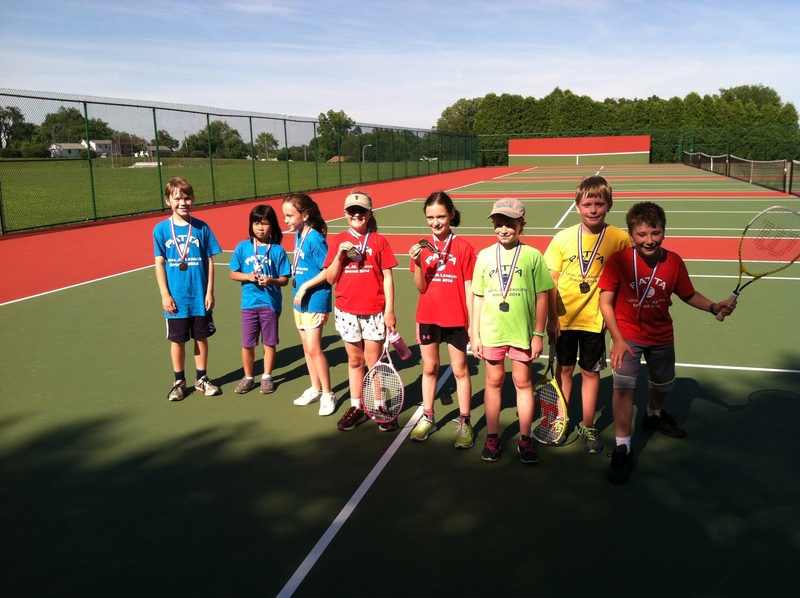 Our goal with the PATTA leagues is to make tennis a fun, accessible, “little league” sport. Oftentimes it has the connotation of being just a country club sport, but with PATTA we make it accessible to all geographic areas, skill levels, and income levels. This week, we had the first and second place teams in each division face off for a winner, with the third and fourth place teams playing each other as well. I’ll keep the recaps short here in this post, and include a lot of pictures as well. There was great energy and enthusiasm throughout this division, and it seemed as though everyone always wanted to play matches, whether they were for points or simply exhibition. 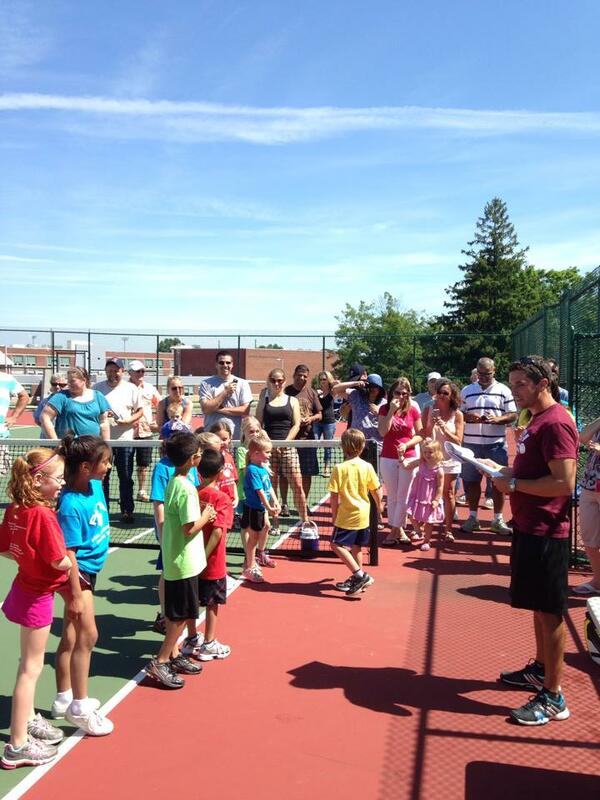 Supervising these matches was always fun, especially when they got into a multi-ball rally. I’d say my favorite part was seeing how consistent their serves were becoming. Even the youngest players of this division were regularly getting their serves in the box by the time it was all over, making for some fun points. Team Spirit Award – This award was given to the team that enjoyed playing together, consistently wore their team uniforms, and acted and behaved like a fun-loving, unified team out there. This was given to the Blue Dolphins! Most Passionate Team Award – This was given to the team that was fully invested in each point. They occasionally wore their hearts on their sleeve out there, and it tennis, that really can be a good thing (just look at John McEnroe!). As we distributed this award, we had all of the players do a little fist pump and “COME ONNNNN! !” just like the intense professional players do. The winner of this was the Lime Lions! 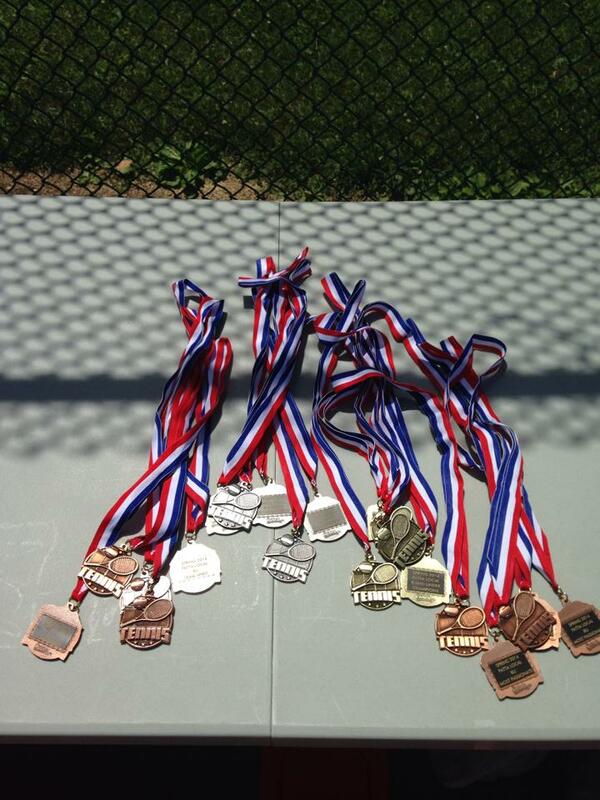 Champions – Given to the team who finishes in first place with the most overall sets won. In this division it was the team that always served and attended consistently. It was the Red Seals who came away with the victory! 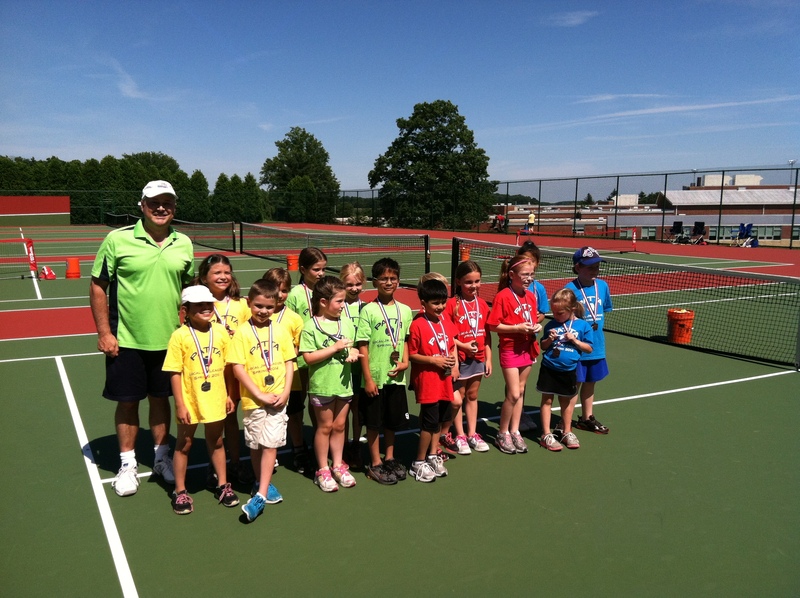 This division was the perfect size to allow us to give them great match play instruction. In the 10 and under division, they use a 60 foot court, point construction is introduced, and with the use of lower compression balls, the players are able to start rallying and serving consistently. Also, with the 60 foot court, it provides an opportunity for them to communicate and work together as a team in doubles. This was the biggest and most eclectic division for Oxford Spring 2014 PATTA. This division featured many returning players as well as some new ones. 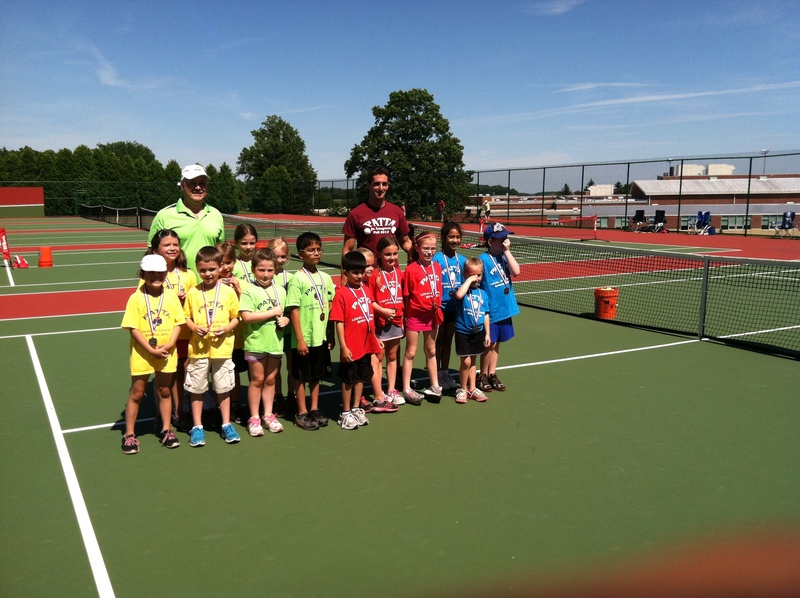 Here, we utilized full court dimensions and regular tennis balls, and many of the players were aged up from the 10 and under division. Great job adjusting to the new, faster balls and larger space! For this division, we divided it into first, second, third, and fourth place teams. It turned out to be pretty close, and on this final day, there was great team support all around! Particularly, the lime team who took some time away from the practice court to cheer on their team mates and offer words of encouragement during team matches. Thanks again for a great season! Here are some pictures I took to commemorate it. Unfortunately my camera died before the final division, but Coach Greg took some good ones!